Apply today to work for TCU Student Media! Click here to apply for the 2019 Milner Distinguished Student Journalism Awards. According to data compiled by the NCAA, only 1.6 percent of college football players make it in the NFL. This statistic is something that TCU head coach Gary Patterson makes sure his players are aware of each year. With bachelor’s and master’s degrees in hand, TCU football alumnus John Diarse is equipped about as well as anyone who has graduated from Patterson’s program to live without football, but the wide receiver isn’t ready for a new line of work just yet. 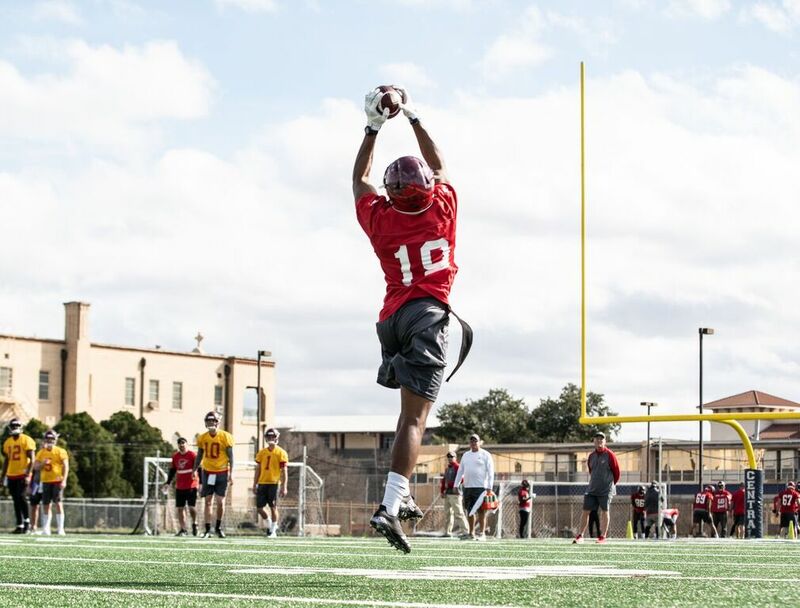 Diarse will get another shot on the gridiron with the Alliance of American Football League, when he begins the season for the San Antonio Commanders this weekend. He came close to fulfilling the NFL dream when he signed with the Denver Broncos after going undrafted last year and had the opportunity to compete for a spot on their 53-man roster while learning from Pro Bowl receivers. “I met with John Elway, and he told me that they just didn’t have the opportunity there for me right now, but from watching me the last few weeks, he said I would have a long-lasting career and that there’s always a place in the league for a guy like me, so that was encouraging despite the irony of him saying that as I was cut,” Diarse said. For the first time in his football career, Diarse was cut from a team. “I wanted to go back home because I was all over the place with that new experience,” he said. In high school, he was named the 4A Offensive MVP by the Louisiana Sports Writers Association. At both LSU and TCU, Diarse played every game and led the Horned Frogs with 575 receiving yards during his senior season in 2017. After getting cut, he spent the next month back home in Louisiana. The first week, he reflected on that newfound experience of rejection. The next two, he began training and hoping for another shot as he applied the wisdom he learned from his brief time spent around Thomas and Sanders. Sanders’ work ethic showed Diarse how to best approach the game of football. His call finally came, but it was the Canadian Football League. The Hamilton Tiger-Cats signed him to their practice roster where he became their go-to scout team wideout during the last four weeks of the season. The Alliance of American Football league will give Diarse his chance to play again with its inaugural season set to begin this weekend. The eight-team outfit is designed to be a brother league to the NFL, almost a minor league, where players have the opportunity to showcase their talents to NFL scouts and general managers over the course of 12-week season kicking-off Feb. 9 on CBS and culminating with the championship game Saturday, April 27. A league like this is a necessity for players looking to keep their careers going after college since the NFL is the only major professional sport in North America without a developmental or minor league. 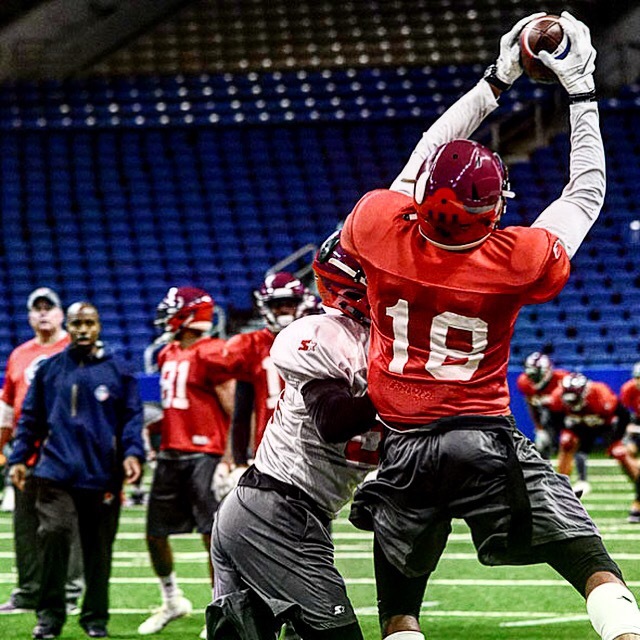 Diarse is set to take the field for the San Antonio Commanders, whose home field, the Alamodome, was the site of both TCU’s Alamo Bowl comebacks, giving the receiver a familiar place to begin his quest to make it at the highest level of professional football. It’s an added bonus that he gets to kickoff the new league with three other Horned Frogs turned Commanders: running back Aaron Green, tight end Cole Hunt and defensive back Nick Orr. The former Horned Frogs kick off their season Saturday in prime time on CBS at the Alamodome against the San Diego Fleet. Garrett is a Journalism and Sports Broadcasting double major. He is the Managing Editor for TCU360, and his passions are God, family, friends, sports, and great food. TCU 360 is an official, student-produced product of the Department of Journalism in the Bob Schieffer College of Communication at Texas Christian University.